This post contains affiliate links, they don't cost you a thing but help us bring you creative projects. See more in polices and disclosures. We're hosting Thanksgiving at my house this year. My parents, brother (and family), and sister (and family) are all driving in from out of state. It's going to be wonderful to have everyone here under one roof. It's going to be entertaining to see all the cousins playing together. And it's going to be CHAOS… pure chaos. I'm shuttering a tiny bit as I type these words 'cause I am a total control freak. I like my pantry organized, I like toys put away where they belong, and I like my kids at a manageable decibel level. I also know it's NOT going to happen for the next 5 days. You know the song I'm talking about, right? It's the “And we gon' make you lose your mind” verse that really speaks to me as a mother. Hee, hee! Getting dinner on the table is the biggest challenge at a family Thanksgiving with lots of extra helpers in the kitchen and lots of extra little people underfoot. I usually start to panic in the short time between “wash your hands” and getting everyone settled at the table with a plate full of food. 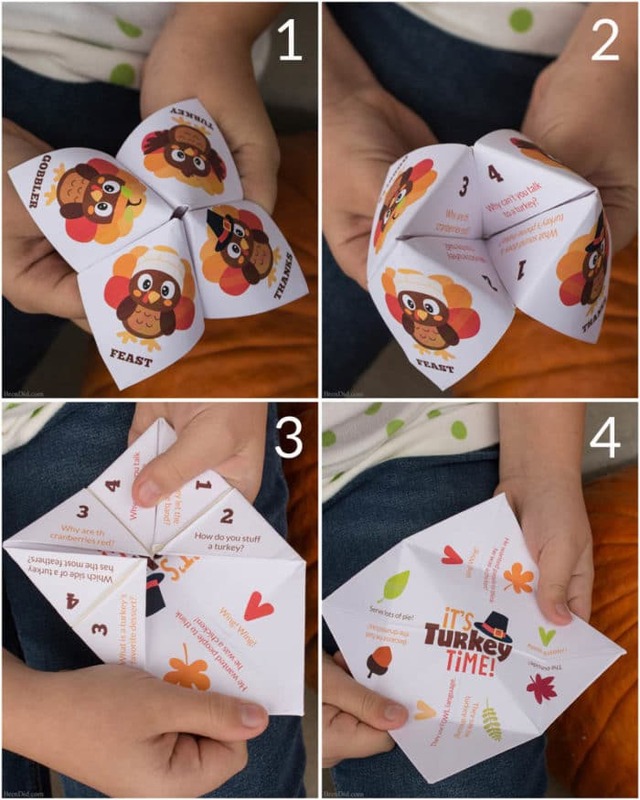 To help prevent the kids table from spiraling completely out of control I made these silly Thanksgiving joke tellers that feature adorable little turkeys and kid appropriate jokes. 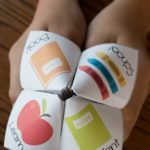 Print a joke teller each kids then pile they up at the kids table. The youngest generation can take turns telling jokes as parents rush to get turkey and potatoes distributed all around. The joke tellers provide just enough of a distraction for me to breath, relax, and remind myself how blessed I am to have the whole rowdy bunch in my life. 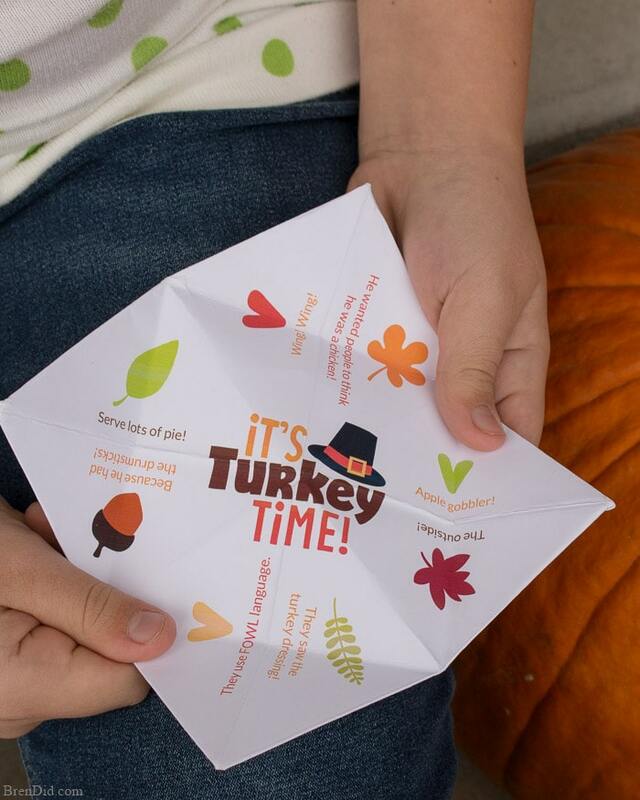 Get the Thanksgiving Joke Teller HERE. 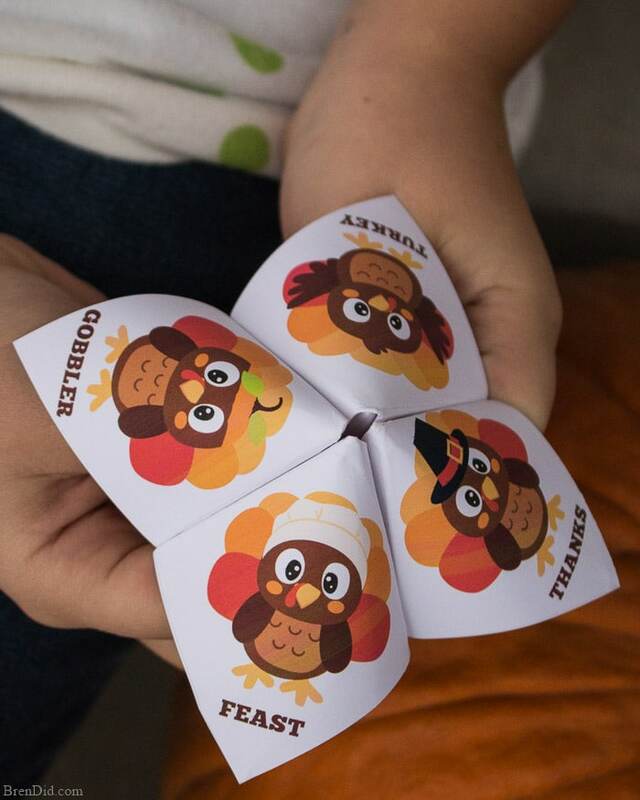 The joke tellers (sometime called fortune tellers or cootie catchers) have a fun Thanksgiving turkey design and jokes that will encourage both laughter and groans. 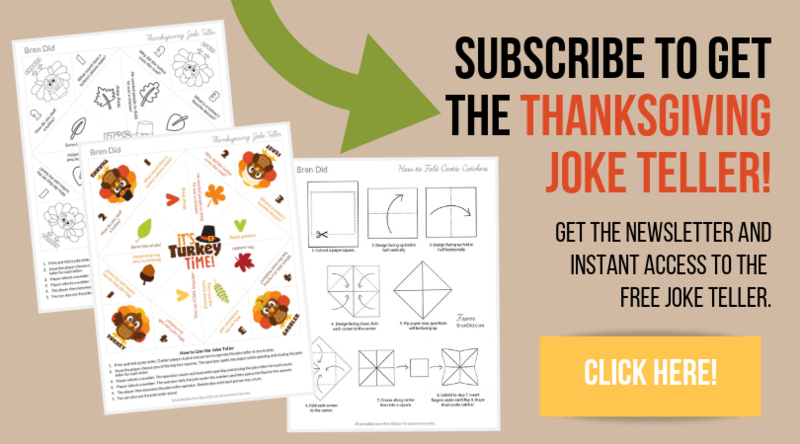 Get the Thanksgiving Joke Teller HERE, save the PDF file to your computer, and print. Follow the simple instructions to fold your own joke tellers. Tip: I print my joke tellers on matte photo paper , it is thicker than copy paper and prints with extra bright colors. This makes a sturdy paper craft that can stand up to little hands! This project is popular with teachers who don't always have access (or the budget) for color copies. I've included a black and white version in the download for kids to color and use. 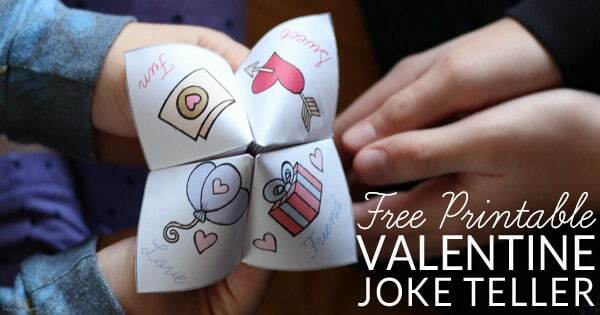 Valentine's Day Joke Tellers are a great non-candy classroom treat or lunchbox surprise. 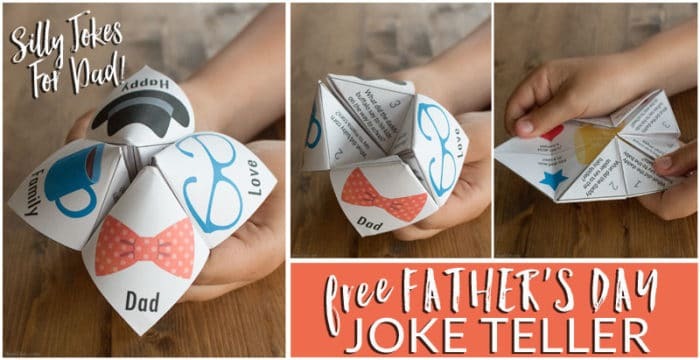 Father's Day Joke Tellers make a perfect gift for Dad. Silly Snowman Joke Tellers are perfect for classroom parties. 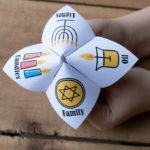 Hanukkah Joke Tellers (and Christmas Joke Tellers) are perfect for holiday celebrations! 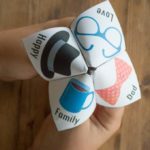 Like my free printable joke teller and other paper crafts? Sign up for my free newsletter below and never miss a thing! These are super cute and I’m going to use them at my daycare center for my older kids. They’ll love it! I LOVE these turkeys! Good Morning! These look like great fun! How do I get to the black and white copies? 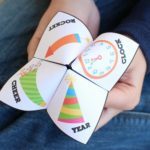 I would love to let the kiddos color the joke tellers in themselves before folding. Chantae, I don’t have a black and white version of the Thanksgiving Joke Teller. Sorry! Thanks, Michelle. I hope they love the Joke Tellers! 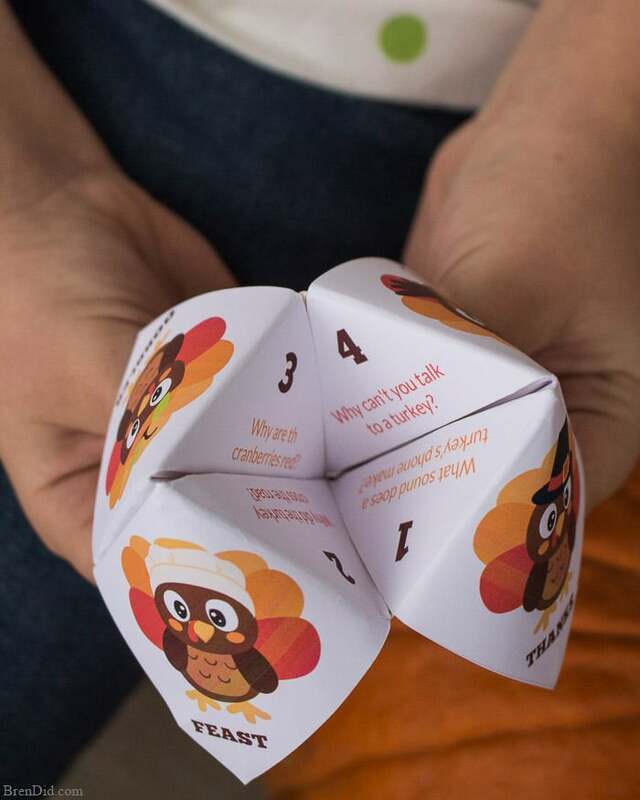 Have you seen the Gratitude Fortune Tellers too? How do I fold? 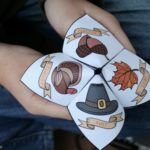 These coodie catchers are awesome! is there a reason when I click on the library and view then it suddenly goes blurry and I cant get anything to download or see? 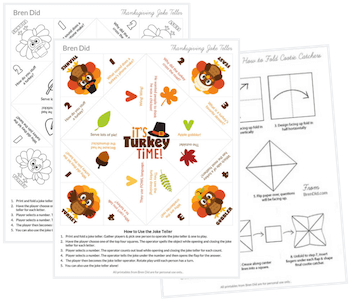 i am trying to get the turkey joke and thanksgiving cootie catcher downloads would you mind emailing them to me instead? Hey Gwen! 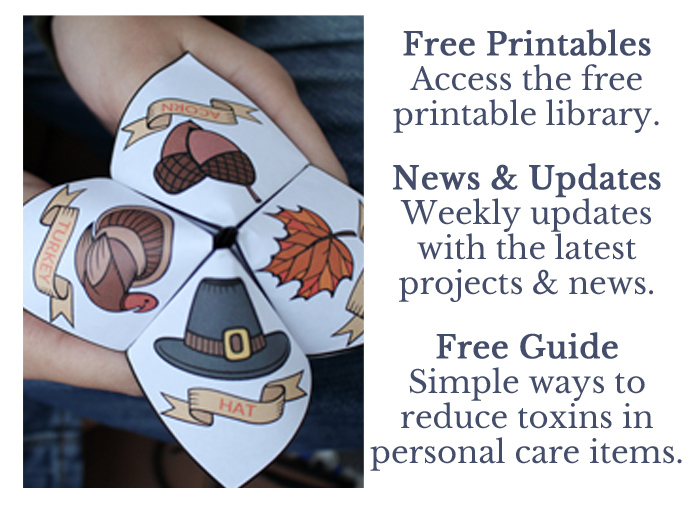 You need to enter your email address on the free printable page to get access. 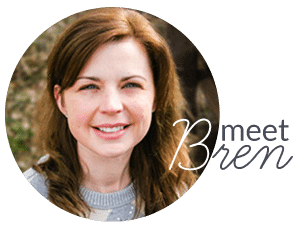 If you’re still having trouble you can email me at hello@brendid.com and I can help. 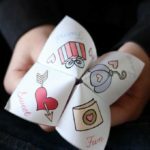 Thank you very, very much for your wonderful cootie catchers. Thanks, Rosemary! I am so glad you are enjoying them! I was able to print it by saving it to iBooks. Thanks again and Happ Thanksgiving! I’m glad it worked, Barbara! Have a Happy Thanksgiving!